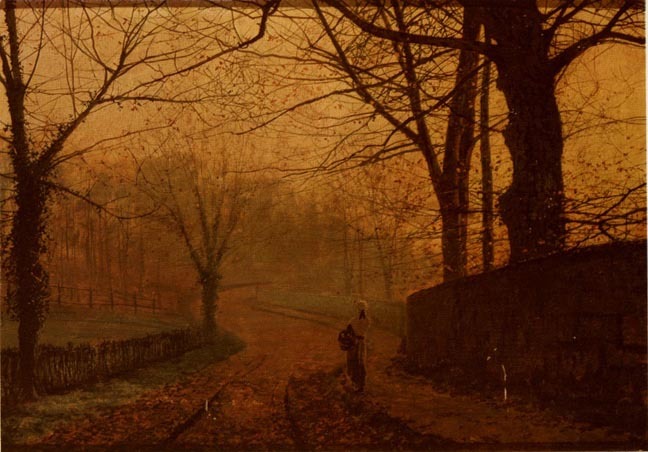 Evening Glow by Atkinson Grimshaw. 1882. Oil on board, 13 1/2 x 19 1/2 inches. Highly Important Victorian Paintings and Drawings. Catalogue for sale of 18 April 1978. London: Sotheby's Belgravia, 1978. Catalogue number 227.